When closet organizer systems are just the thing you need to get your home in Chattanooga, Tennessee, organized, turn to the home improvement experts at 31-W Insulation. We offer reliable closet organizers manufactured by ClosetMaid, an industry leader known for producing high-quality home organization systems for years. You will have your choice of components engineered of wire or wood/laminate in a wide variety of color and finish options, so you can be sure your closet systems will look terrific while offering abundant storage space. You may wish to have us install a closet system that is easily accessible for your young child now, but that you can reconfigure as your child grows and storage needs change. We can design a closet system for your bedroom tailor-made to your wardrobe. 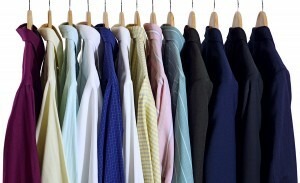 Are the majority of your clothes folded? You need more shelves. Do you like them on hangers? You need efficient hanging space. Pantry systems in your kitchen, laundry room, and even your garage, can be designed to suit your lifestyle and make the most of every square inch, giving you the ability to keep everything neat and tidy. For more information about the exceptional closet organizer systems we offer homeowners in Chattanooga, TN, contact 31-W Insulation today. We are proud to serve the entire Tennessee Valley since 1972, and we will be happy to provide you with a complimentary consultation for your storage needs.